Perception is the process by which individuals select, organise and interpret stimuli, to form a meaningful and clear picture of the world. 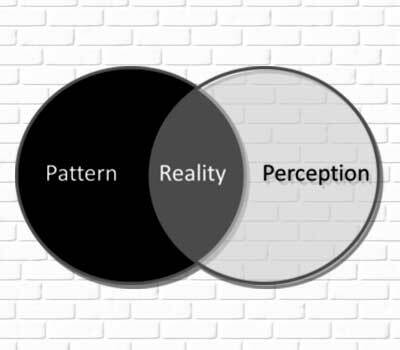 Perception has strategy implications for marketers, because consumers make decisions based on what they perceive, rather on the basis of objective reality. The lowest level at which an individual can perceive a specific stimulus is called the absolute threshold. The minimal difference that can be perceived between two stimuli is called the differential threshold, or just noticeable difference. Most stimuli are perceived above the level of the consumer’s conscious awareness; however, weak stimuli can be perceived below the level of conscious awareness. Research does not support the contention that subliminal stimuli consumer buying decisions. Consumer’s selections of stimuli from the environment are based on the interaction of their expectations and motives with the stimulus itself. The principle of selective perception includes the following concepts: selective exposure, selective attention, perceptual defence and perceptual blocking. People usually perceived things they need or want, and block the perception of unnecessary, unfavourable or painful stimuli. Consumers organise their perceptions into unified wholes according to the principles of Gestalt psychology: figure and ground, grouping and closure. The interpretation of stimuli is highly subjective. It is based on what consumers expect to see in light of their previous experience, on the number of plausible explanations they can envisage, on motives and interests at the time of perception, and on the clarity of the stimulus itself. Influences that tend to distort objective interpretation include physical appearance, stereotypes, halo effects, irrelevant cues, first impressions, and the tendency to jump to conclusions. Just as individuals have a perceived self-image as a kind of person so, too, do products and brands have images for the consumer. The perceived image of a product or service is probably more important to its ultimate success than its actual physical characteristics. Products and services that are perceived favourably have a much better chance of being purchased than products or services with unfavourable or neutral images. Perceived value is based on monetary and non-monetary costs combined with perception of quality. Reference prices are used to evaluate pricing claims. Prices outside an acceptable range are likely to be rejected. Research suggests that the frame of reference for prices and how consumers evaluate competitive offers will strongly affect buyer behaviour. Compared with manufacturing firms, service marketers face several unique problems in positioning and promoting their offerings, including the service environment and service characteristics. Regardless of how well positioned a product or service appears to be, the marketer may be forced to reposition it in response to market events, such as new competitive strategies or changing consumer preferences. Consumers often judge the quality of a product or service on the basis of a variety of informational cues: some are intrinsic to the product while others are extrinsic. In the absence of direct experience or other information, consumers often rely on price as an indicator of quality. The images of retail stores influence the perceived quality of products they carry, as well as the decisions of consumers as to where to shop. Consumer imagery extends beyond perceived price and store image to the producers themselves. Manufactures who enjoy a favourable image generally find their new products are accepted more readily than those of manufactures with less favourable or neutral images.